Home » Blog » Global Doodle Gems Review Team – What am I up to? Global Doodle Gems Review Team – What am I up to? Let me tell you what I’ve been up to lately, in case you’re wondering why nothing much is happening on Tabby May Art. First off I’m busy with several projects for the Global Doodle Gems Review Team. This team is an initiative from Johanna Ans and we’re working as a team for a couple of months now. We’re fifteen ladies and we’re busy coloring new drawings for upcoming coloring books. We also color for specific themes. We’ve already done a project for Valentines Day and now Easter is approaching fast, so there are a bunch of beautifully colored drawings coming up soon! And last but nog least we review coloring books. Like the name of our team already says, mostly books published by Global Doodle Gems (or GDG in short). This is a publisher as well as an artist community, founded by Maria Wedel from Denmark. The beauty of the coloring books published by GDG is that they’ve been drawn by a lot of different artists and therefore there’s a great range of different styles. When you love to color you definitely should go and see what GDG coloring books there already are. The range of books is growing fast and there have been published many lovely books already! I’ve bought several of them myself and you’ll be seeing more of them soon on my website. With the Global Doodle Gems Review Team we’ve recently started a wonderful joint project. Which was another idea and initiative of Johanna Ans. Really, that woman is the personification of creativity, I love it! 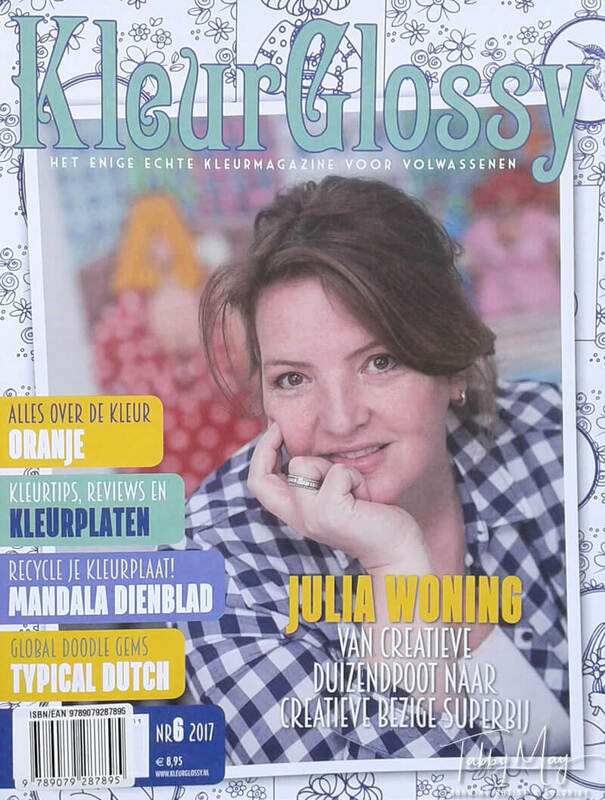 Together we’ve worked on reviewing the latest KleurGlossy. KleurGlossy is a special Dutch magazine for coloring enthusiasts and issue number 6 has been recently released. Johanna Ans thought it would be nice to write about it as a team. Well, that didn’t fall on deaf ears, and we started together. Everybody got their assignments, an article or a drawing from the magazine, and a schedule was made with deadlines for releasing our work online. And obviously, since we’re with fifteen women, all our experiences, writings and coloring work would be way too much for just one review. So it’s been divided in three parts. There will be THREE reviews of KleurGlossy 6! This first one has been published today, april 8th. And I’ve made a contribution to this first part as well, with a review of an article in the KleurGlossy about the color orange. And I’ve made a video to it. Better go and have a look, because my Global Doodle Gems Review Team colleagues have done and written some very nice things for this review too! 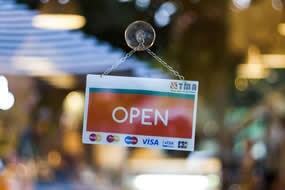 You can click here, that immediately opens our joint review project. Everything is still in Dutch, we expected Google Translate to translate, but unfortunately this doesn’t seem to work. So we’re working on the translation of the whole review… Link will be provided here ASAP! Well, so much for the Global Doodle Gems Review Team. I’m quite busy with that. But beside that I’ve also been asked by Maria Wedel to colorize a book cover for her new upcoming coloring book. I feel so honored and will do my utter best for a beautiful cover. The book I’m talking about is hilarious by the way! I was really laughing out loud when I was allowed to take a sneak peak at the designs. But soon more on this subject! Finally I’ve been working on my website lately. There’s a webshop now! Not that I have something to sell haha. Maybe later I will (got some ideas already), but for now it’s mainly meant to make my color charts easier accessible for my followers and readers. Before they were already available if you would subscribe to my newsletter, but I wanted to change that. The system used to upload the charts was inconvenient and complicated. So therefore I’ve now got a webshop, which makes it a lot easier for me to add new color charts. The last couple of days I’ve been busy with the charts, revising them, adding my new logo and uploading them again. And I’ve made and added a couple of new charts and there are more on their way. I’m busy working on them. Would you like to know which color charts are available already? Then quickly go to my webshop and take a look! Well, that was it regarding this update. Did you like this blog? Share it on Facebook and Twitter! Very easy and nice to read! Great! And also a compliment for Ans! Good job again, girls! Wat top dat je de boekcover voor Maria mag gaan kleuren! Spannend hoor.